A large number of migrants and humanitarian entrants have been settling in rural and regional areas over the last several years. Rural and regional settlement utilises existing capacity in regional areas, reduces the load on settlement services in metropolitan areas and addresses sparse population and skills shortages. Migrant and refugee groups have great potential and can contribute with a range of skills to the growth of a region or industry. See FECCA’s brief Migration: An Opportunity for Rural and Regional Australia. Despite many benefits, regional settlement can also create several challenges for these communities. FECCA’s work in this area focuses on ensuring that migrants and refugees benefit from adequate settlement services, have access to culturally appropriate support mechanisms and live in an environment free from discrimination and racism. FECCA have produced a case study of migrant and refugee communities in Shepparton, Victoria: community perspectives on settlement issues affecting new and emerging communities in rural and regional Australia. 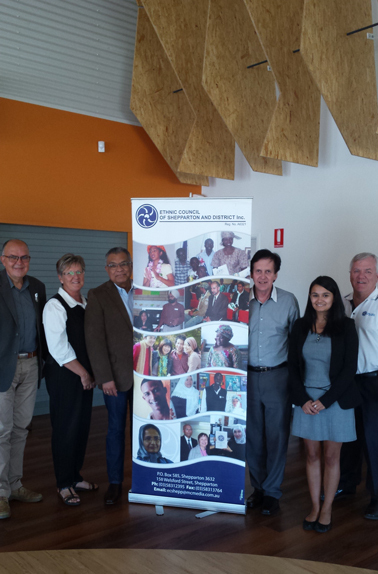 FECCA has a dedicated Rural and Regional Advisory Committee to provide advice and grassroots feedback on the distinct circumstances and needs of migrant and refugee communities living in rural and regional locations. Through this committee, FECCA aims to promote a greater understanding of these issues to government, business and the general community, increase representation of multicultural regional communities at a national level and provide a national forum for information exchange, discussion and consultation on regional settlement. Click here to view the FECCA Rural and Regional Advisory Committee Terms of Reference (reviewed March 2016).